In tough industry conditions, you need to control how you operate. For many years, ExxonMobil’s proven marine lubricants and services have kept engines operating at peak performance. Our solutions have helped customers to defeat cold corrosion, reduce cylinder oil feed rates by 45 per cent* and minimise total operating costs. 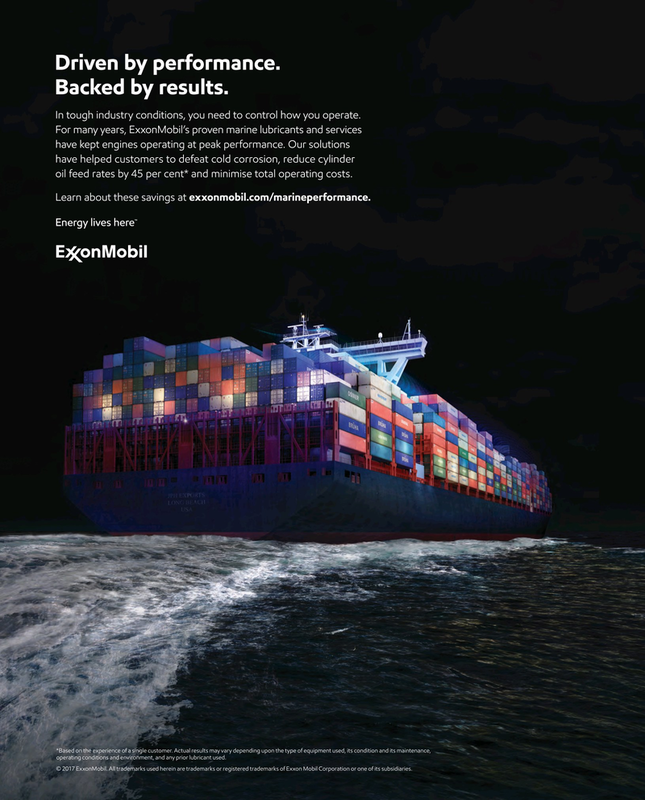 Learn about these savings at exxonmobil.com/marineperformance. *Based on the experience of a single customer. Actual results may vary depending upon the type of equipment used, its condition and its maintenance, operating conditions and environment, and any prior lubricant used. © 2017 ExxonMobil. All trademarks used herein are trademarks or registered trademarks of Exxon Mobil Corporation or one of its subsidiaries.